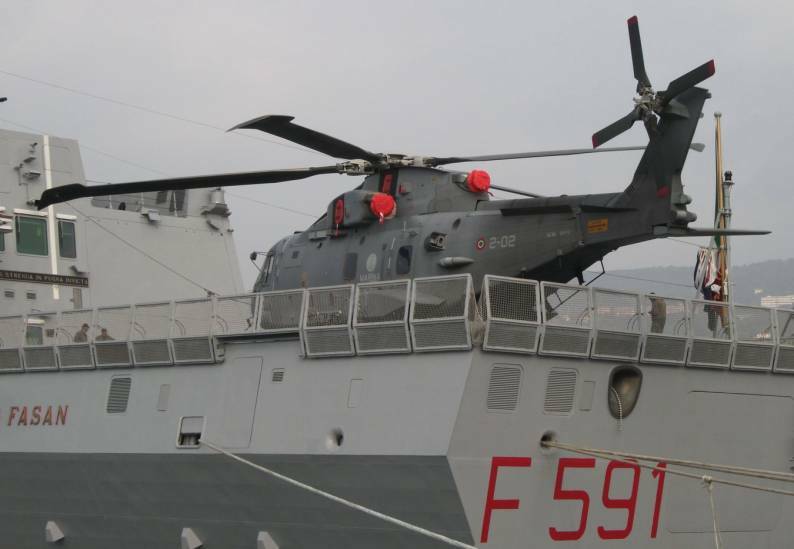 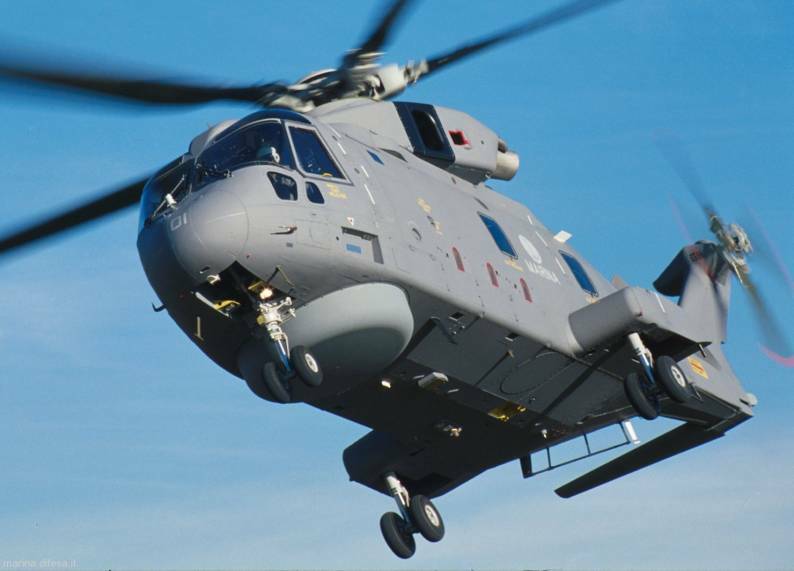 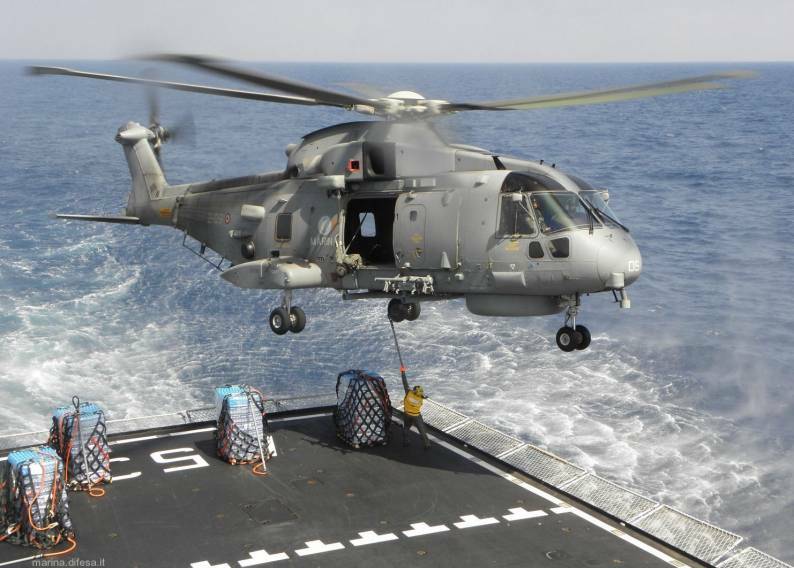 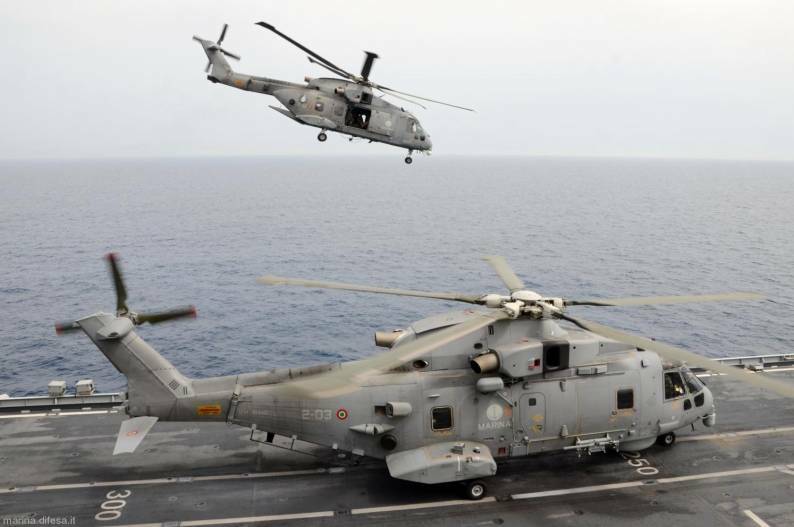 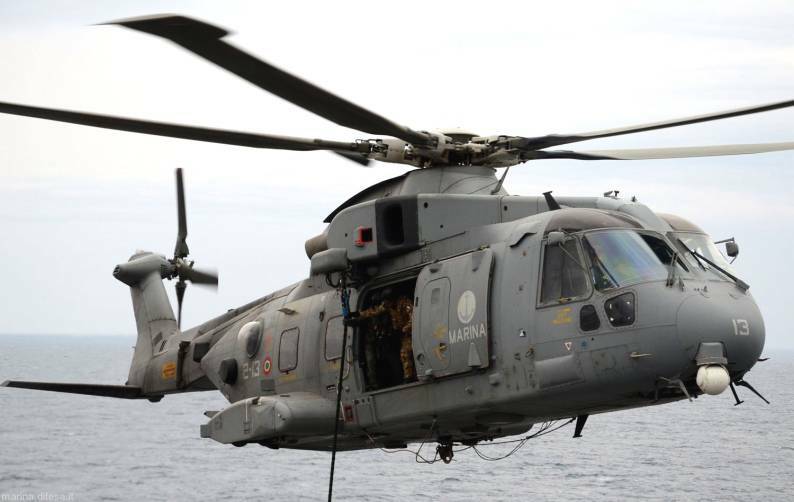 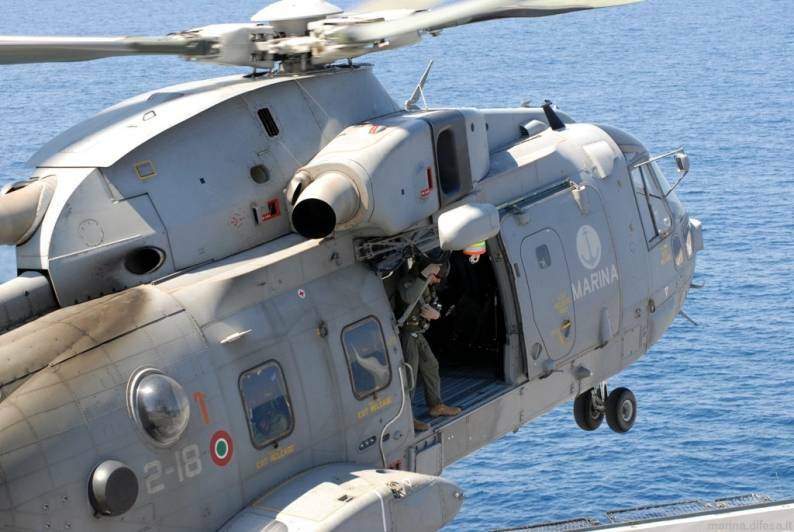 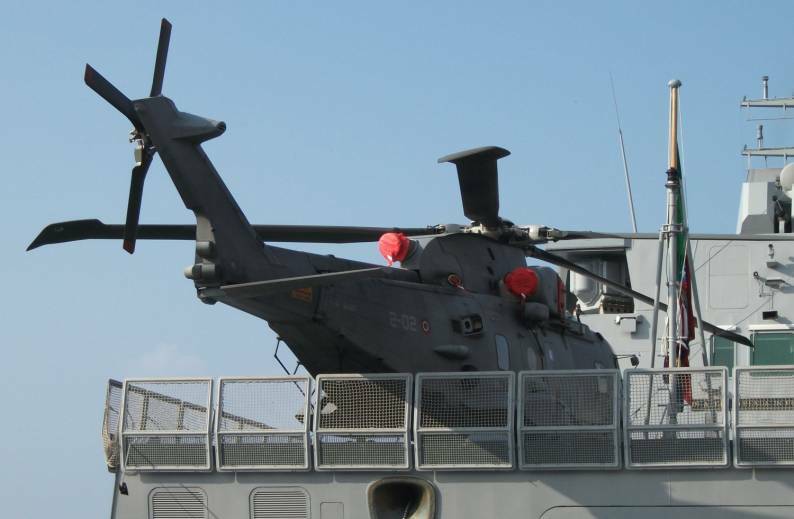 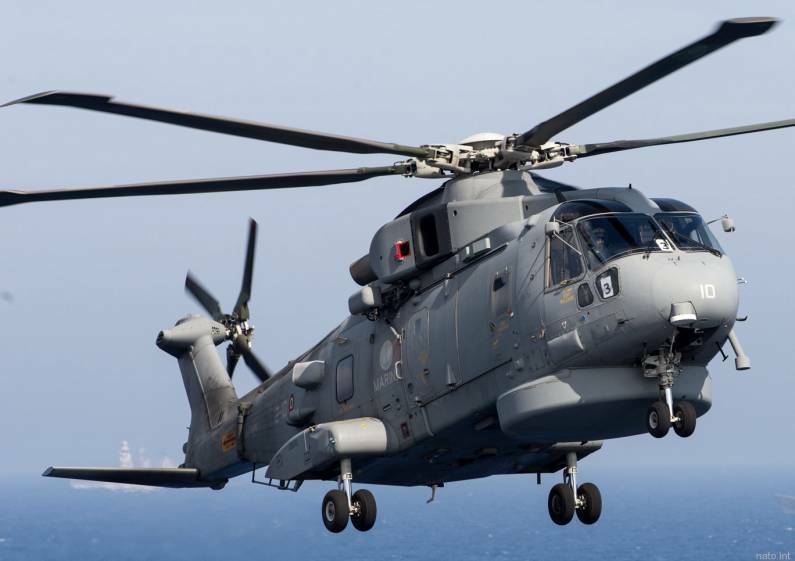 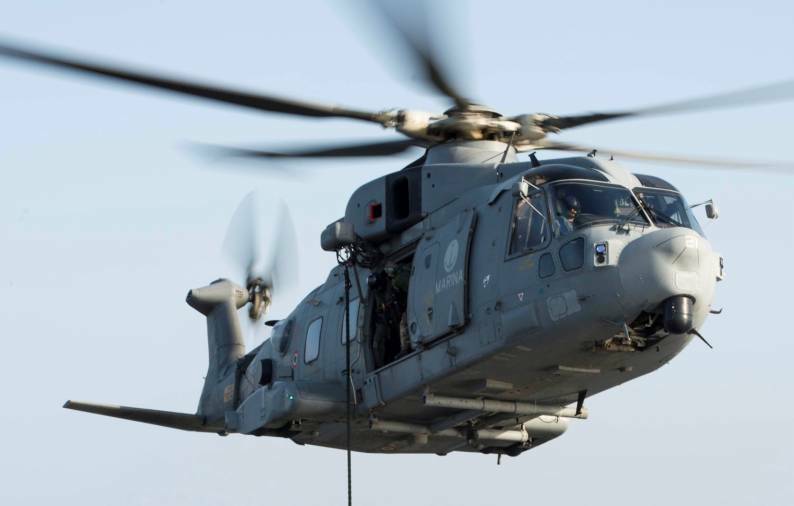 Italian government ordered 20 EH101 helicopters with four options for the Italian Navy. 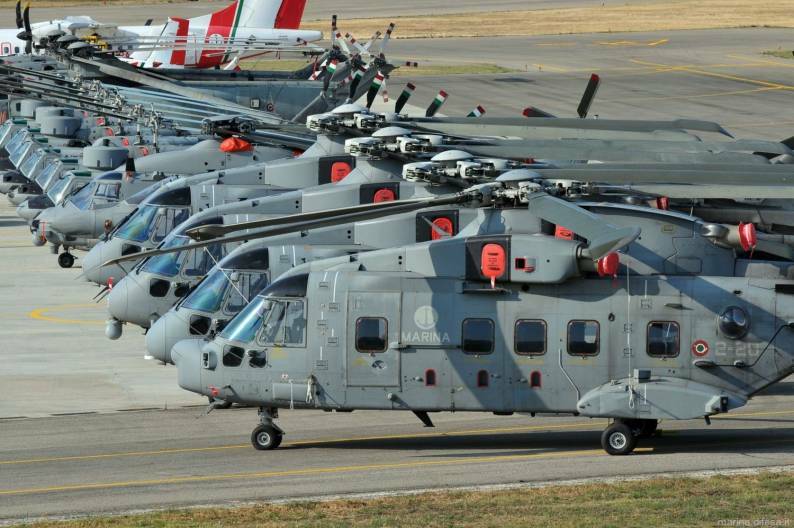 These EH-101s included 10 of the anti-surface/submarine (ASuW/ASW) version, 4 airborne early warning (AEW), 4 utility, and 4 amphibious support helicopters (ASH). 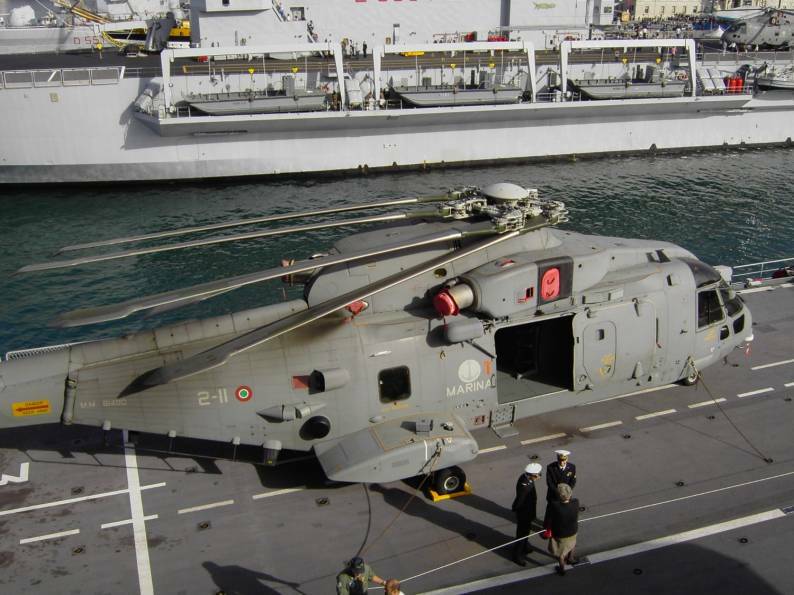 The first Italian Navy production helicopter (MM81480) flew on 4 October 1999 and was officially presented to the press on 6 December 1999. 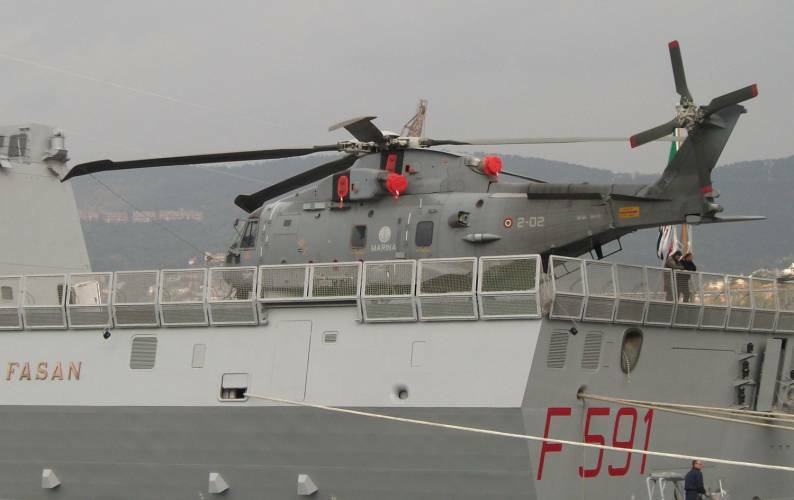 Italy accepted delivery of the 21st EH-101, configured for anti-submarine warfare, on 4 August 2009. 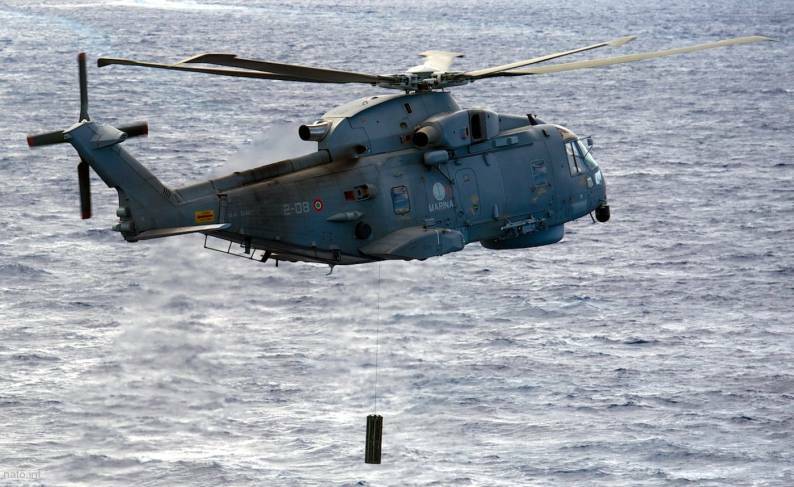 ASW / ASuW: 4 Torpedoes Mk-46 or MU90, 2 Marte Mk.2 anti-ship missiles, 2 MS500 anti-submarine depth bombs.